In March 2016 the Greater Egg Harbor Regional School Board entered into an agreement with North Jersey company called Effective School Solutions LLC (ESS). The agreement signed by Board President Carol Houck is to provides In-District clinical services for students with emotional and behavior problems. The services of ESS became a topic of discussion after a serious incident at Absegami High School when on Friday, September 23, 2016, at approx 2:00pm, Absegami High School officials received information that a student was carrying a handgun on the Absegami school campus. According to the contract with (ESS), Effective School Solutions is to provide therapeutic mental services to students within the school district. 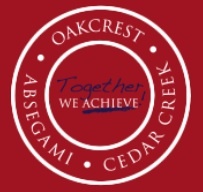 The services provided by ESS are for students enrolled in Cedar Creek, Oakcrest and Absegami High Schools for the 2016-2017 school year. ESS is to provide six (6) full New Jersey licensed mental health professionals who are trained and experienced in adolescent psychiatric treatment. Those professionals work under ESS and in conjunction with staff designated by the school. The professionals must be present at all times when school is in session. ESS is to provide services for up to eighteen (18) students that are to be enrolled in each of the three schools at any time. The program provides for family psychotherapy for each student, daily group therapy sessions and multifamily group therapy. It is left in the sole discretion of ESS to determine if a student can enter into or remain within the program. However, the primary reason is to either reject a student or remove a student from the program after considering input from the appropriate personnel of the School. It is also the opinion of ESS to determine if the student is a danger to himself/herself or others. The District pays $735,000 per year to ESS for these services in order to bring the eighteen (18) students back into the District schools. Without ESS, the District would pay per student directly to the school the student is to attend like Y.A.L.E or other specified schools that offer the specialized services and education for those students. Parents who have contacted this news organization question how a student is able to carry a loaded gun throughout the school without being detected. Parents also question the reasoning for such program when specialized schools are there for those students that need it. Parents questioned the Regional School Board at their meeting on meeting. Superintendent John Keenan responded stating he could not discuss the incident. Weapon, Unlawful Possession of a Weapon, Possession of a Weapon on School Property and Possession of a Defaced Firearm. The student was lodged in Atlantic County Juvenile Detention Center. How did this student walk around that school with a gun for 6 1/2 hours??? From 7:30 AM to 2:00 PM and no one saw anything until 2:00 PM??? I just like everyone else am happy that this serious incident turned out the way it did, however the six and a half hour time frame is scary and needs to be addressed. What a ridiculous statement!! I walk around all day and no one knows what I have in my pockets !! I agree with the first comment above. The second comment only adds to the problem and offers no constructive solutions! No one ever mentioned "pockets" either. In this case, the student had the weapon in plain view. With metal detectors we would not have to have this conversation. We owe it to our kids to ensure that they are in a safe environment. Not in an environment where another person can walk around freely with a weapon! The second comment is just as ridiculous. Clearly the person who wrote it is not aware of the facts. The student had the gun in his pocket and still got caught. A lot of truly concerned parents and taxpayers are asking how he was able to go nearly an entire school day with a gun. I am sure the police are asking the same question too. The comment above just leaves me shaking my head knowing that some people just readily dismiss viable options to keep our kids safe.